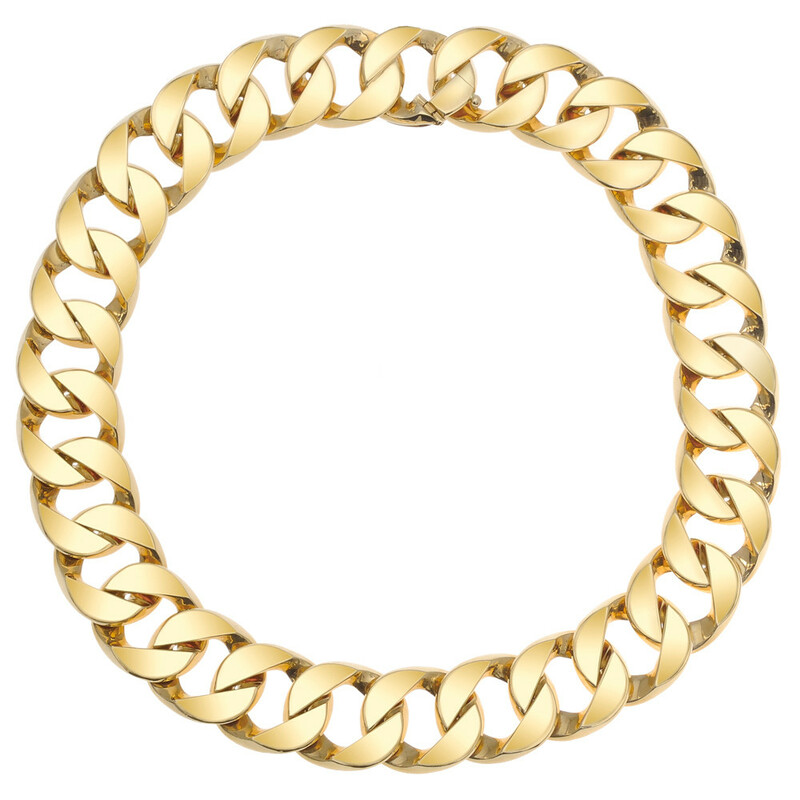 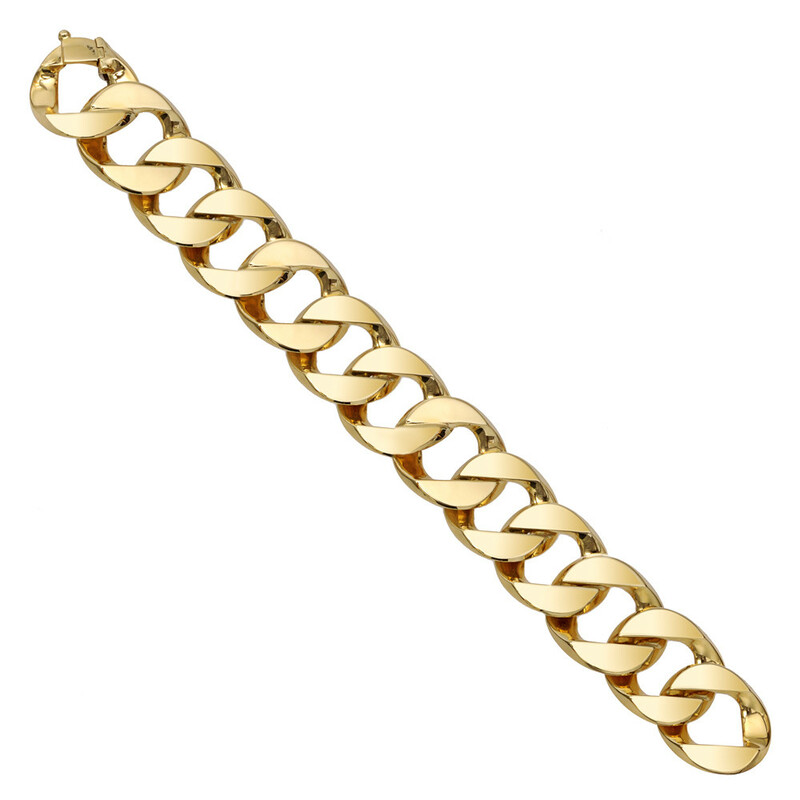 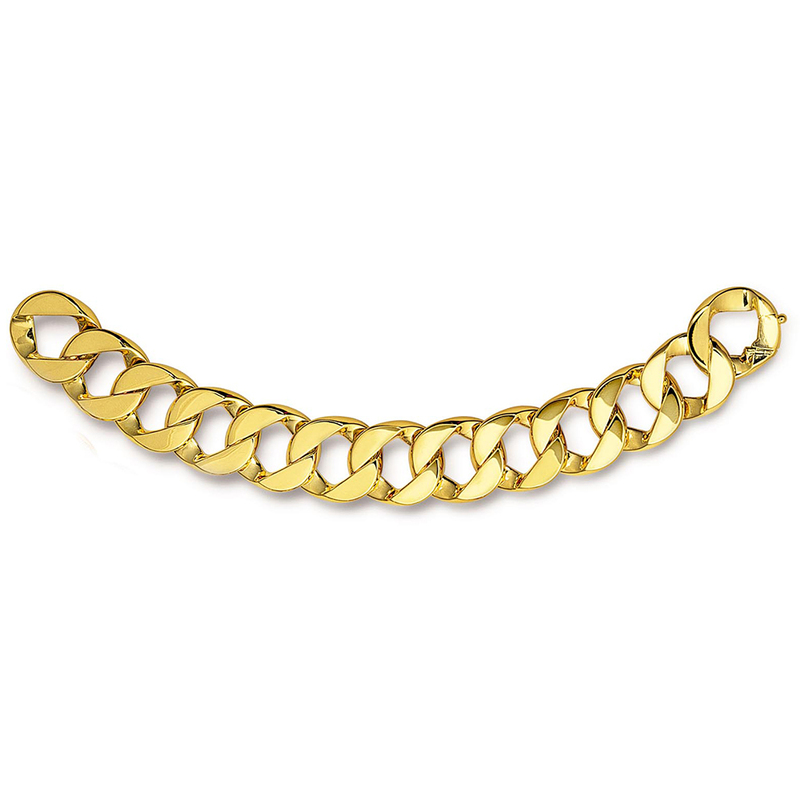 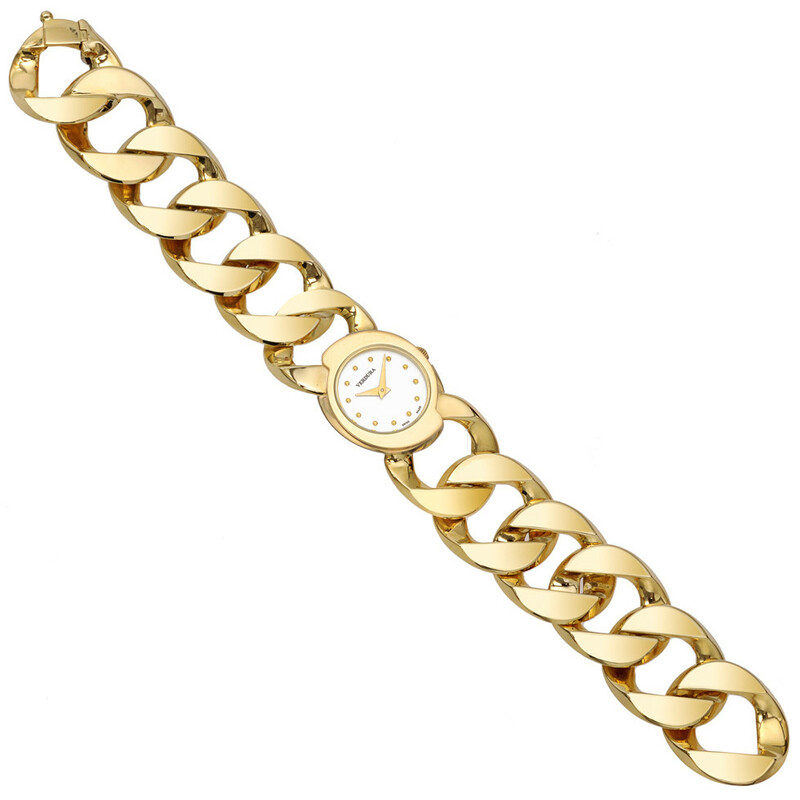 Curb-link bracelet in high-polished 18k yellow gold. 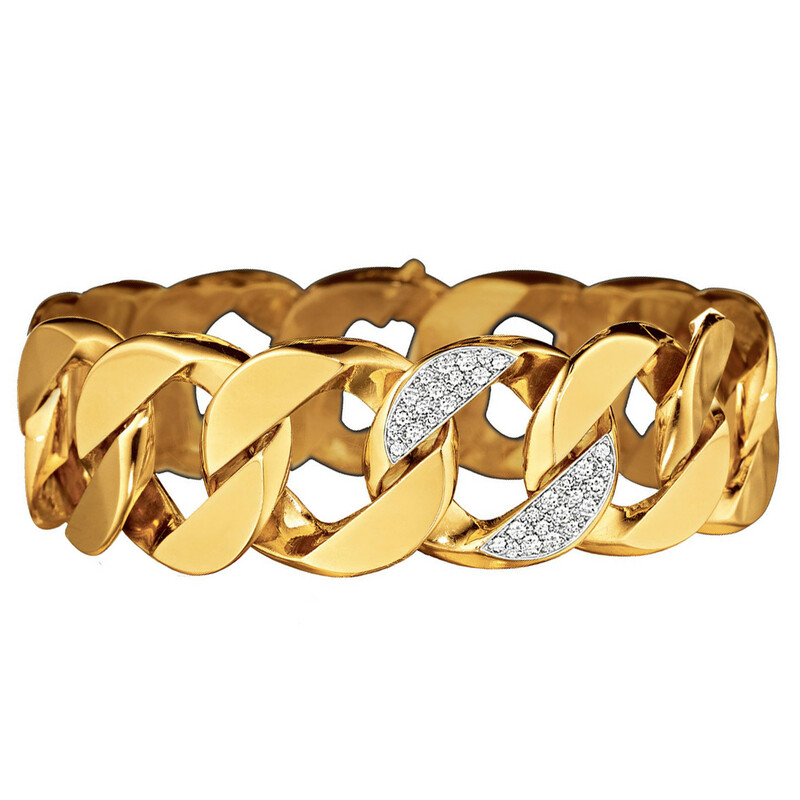 Designed by Verdura. 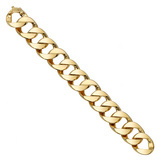 7.5" long and 0.8" wide. 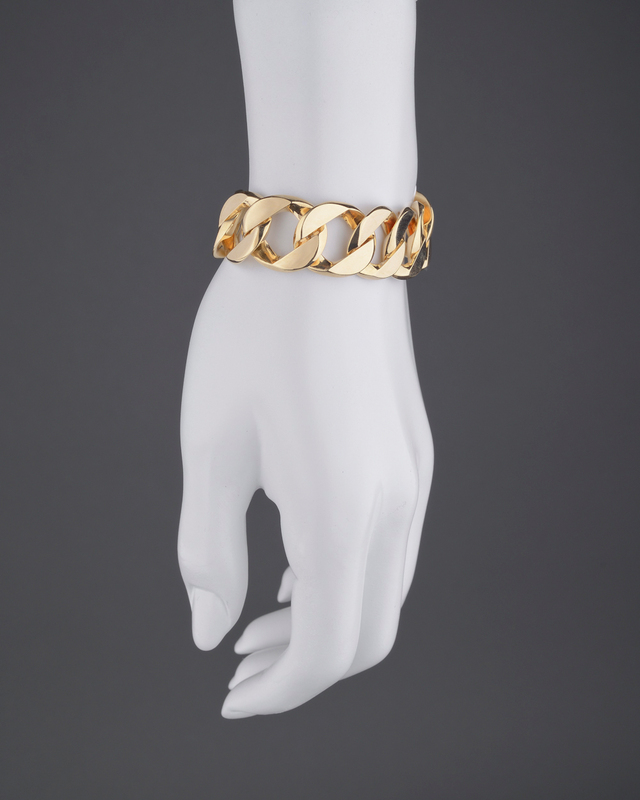 When Verdura designed the Curb-Link bracelet for Greta Garbo in the late 1930's he created a "comfortable classic" that would be forever associated with him.